Bob is an NBC and MLBN broadcaster who has won twenty-six Emmy awards – recognizing him in categories of hosting, play-by-play, writing, journalism, news, and entertainment. Bob also hosted his 7th Super Bowl in February of 2015 on NBC. A 26-time Emmy Award-winning journalist, Costas is one of the most respected and honored broadcasters of his generation. He serves as the host of the critically acclaimed and most-watched NFL studio show Football Night in America, an exclusive and complete look at each Sunday in the NFL. He also hosted pre-game coverage for Super Bowl XLIX, the thrilling four-point New England Patriots victory over the Seattle Seahawks in the most-watched show in U.S. TV history with an average of 114.4 million viewers, and Super Bowl XLVI, at the time, the most-watched program in U.S. television history. Costas began his broadcasting career in 1974 at WSYR-TV and Radio in Syracuse, N.Y. He later joined KMOX Radio in St. Louis, working as play-by-play voice of the ABA Spirits of St. Louis. He also called play-by-play for one season of Chicago Bulls road-game telecasts. 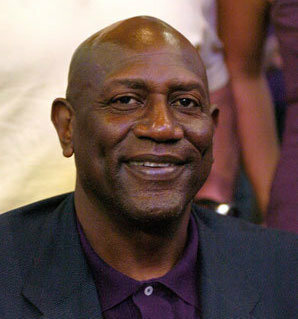 He then went on to handle regional NFL and NBA assignments for CBS Sports while acting as the radio voice of University of Missouri basketball from 1976 to 1981. Costas co-hosts NBC’s coverage of the Kentucky Derby, Preakness Stakes and Belmont Stakes and has hosted U.S. Open and Ryder Cup coverage. He also contributes to a variety of NBC News programs, including NBC Nightly News and TODAY. In November 2011, Costas received a News & Documentary Emmy Award and critical acclaim for his exclusive interview with Jerry Sandusky. He also handles play-by-play duties and is a commentator for MLB Network. 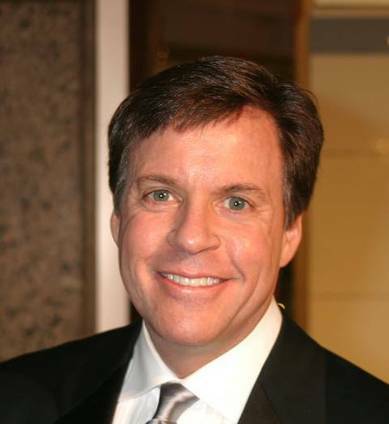 Costas has been honored as Sportscaster of the Year by the National Sportswriters and Sportscasters Association a record eight times and in June 2012 Costas was inducted in to the NSSA Hall of Fame. He won first in 1985, when at 33 years old he became the youngest person to win the award. He added awards in 1987, 1988, 1991, 1992, 1995, 1997 and 2000. In March 2000, Costas was named Favorite Sportscaster at the TV Guide Awards, based on balloting by readers of TV Guide magazine. Costas won acclaim as host of HBO’s On The Record, a weekly show on which Costas interviewed luminaries from the worlds of sports, entertainment and politics. He also hosted CostasNOW, on HBO, a monthly one-hour sports magazine program. Costas also hosted HBO’sInside the NFL from 2002-08.